1. Instead of selling plastic water bottles, give your attendees a branded metal or plastic bottle and set up water stations throughout your event. The stations could include 5 gallon jugs with taps or perhaps 1,000 gallon containers for larger events. 2. If it’s not in the budget and you can’t find a sponsor, then sell the reusable bottles instead of disposable. Attendees are already spending $3-$6 on water. 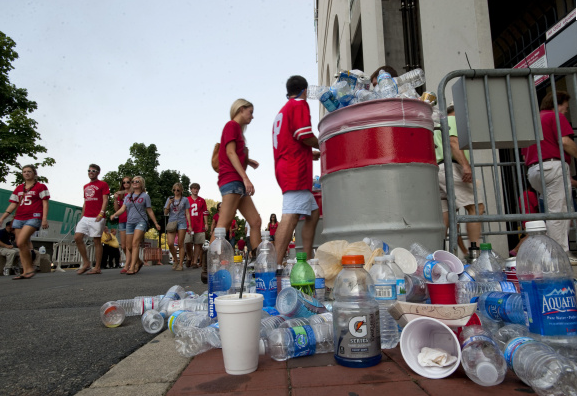 Make this your big contribution to the environment and give them the bottles for a few cents over cost, which should still be less than what they would spend on disposable from a vendor. This cost will more than pay for itself with the reduction of waste removal staff and fees. 3. Offer an incentive to participants. Give them a rebate at the gate for bringing their own bottle. Or create a fast pass entry line for people who bring their own empty, reusable bottle. 4. Offer for purchase a reusable bottle that clips to your belt/ clothing or hangs around your shoulder/across your body. This way participants don’t have to carry around their bottles. Perhaps attendees see this as a downside of not being able to chuck their bottle on the ground when they are done with it. 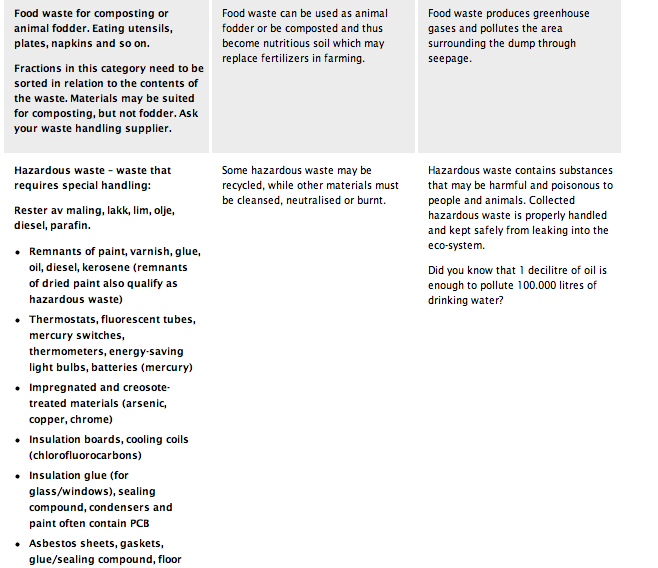 Lastly, I pulled this table from the online environmental handbook. I think we could benefit from knowing how our recycling is used afterwards. For some events, this can be incorporated in the educational programming. 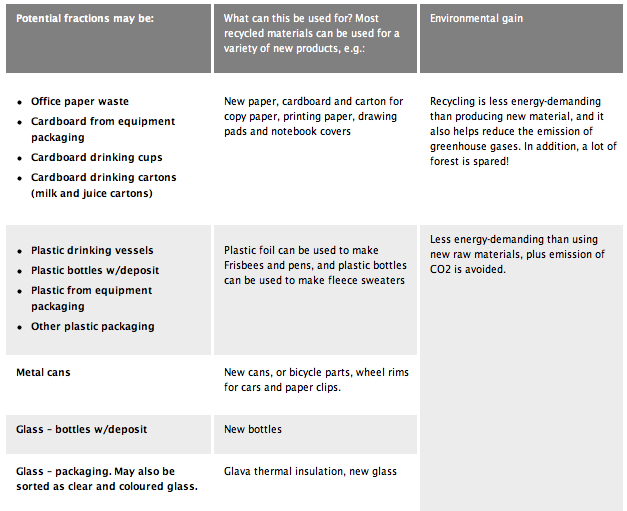 This gives you ideas of how many categories you should establish for recycling at your events. And not just for event days, but we should be including site building materials, office waste and clean up chemicals.